This commissioned artwork was designed with the client’s formal garden in mind. Once the favorite garden flower and color was selected, I referenced the meaning of the flower and it was a perfect fit and spoke directly to the clients personal life. It was meant to be. The Feur De Lyse symbolizes royalty and eloquence. 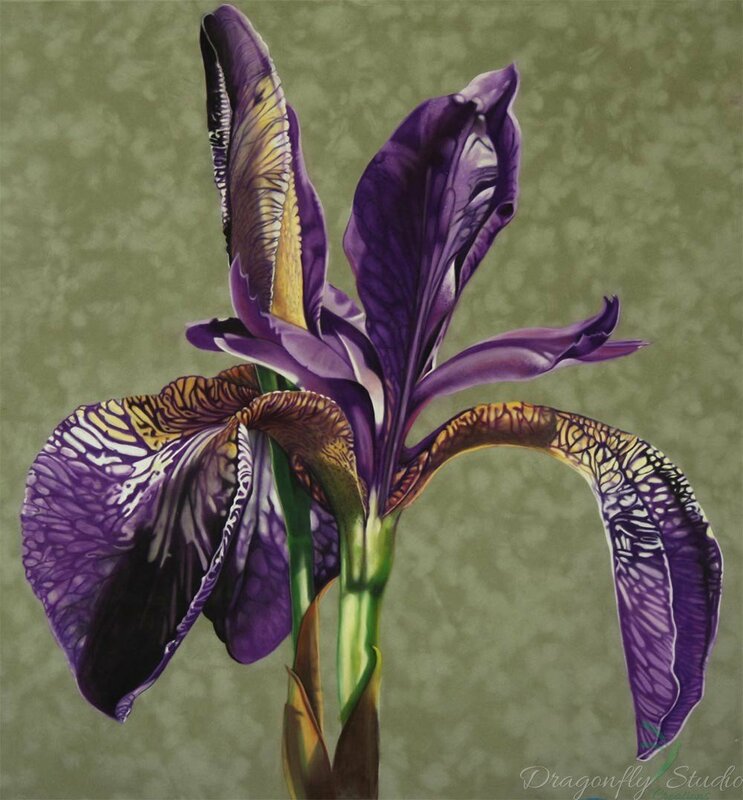 The most famous ancient graphic representation of iris bloom is the Fluer De Lys. It is used as a symbol of french royalty.